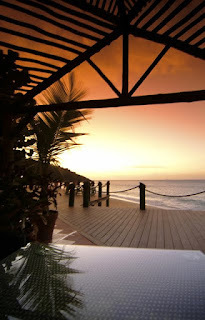 I highly recommend Galley Bay Resort and Spa in Antigua! 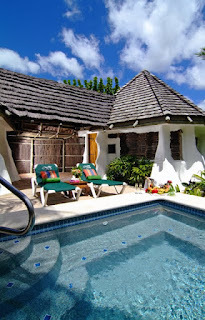 Galley Bay has these very romantic, very private accommodations that they call "Gauguin Cottages"! Each "cottage" is surrounded by a charming thatched fence which gives you an enormous amount of privacy. Within your "fence" you have a small building that hosts your beautiful master bedroom, a separate building for your bathroom, and then your own small pool with lounge area! You’re "cottage" is within the resort so you still have all the great amenities of the resort to use, but once you close your privacy gate behind you.... well, you get the idea! 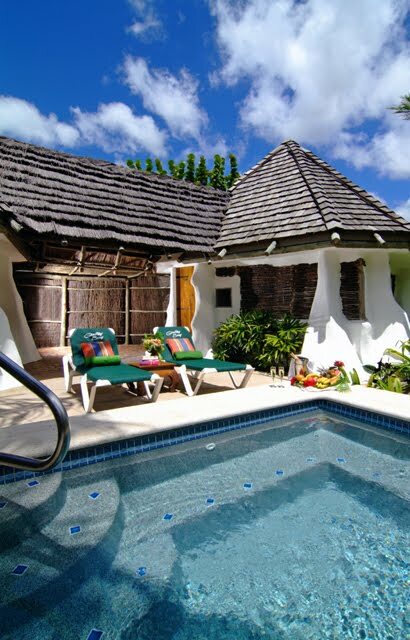 I cannot wait to go to Galley Bay and stay in the "Gauguin Cottages". It will be a vacation that will never be forgotten! Oh, did I mention that G. Armani's house is just up the mountain? Yes, he does stop in at the bar periodically to have a drink. Would you like to meet the infamous designer?! Let’s go to Galley Bay!